As tree buds burst open and green, leafy tree canopy returns, we are reminded of the essential benefits trees provide to our beloved communities. Trees meet environmental challenges: Trees slow the flow and quantity of rainwater that enters storm drains and reduce the quantity of pollutants that enter our waterways. Additionally, the ability of trees to absorb carbon dioxide and store carbon helps combat the increasing impacts of a changing climate. Trees improve our natural world and its inhabitants: Healthy forests are a critical component of wildlife, water, soil, and other conservation efforts. In cities, a larger urban tree canopy increases wildlife habitat for song birds, small mammals, and pollinators. Trees add economic value to residential properties and businesses: Trees and landscaping around residential and business properties reduce heating and cooling needs, increase property values, and increase business traffic in commercial districts. Trees improve public health and safety: Trees have been proven to improve public health across a range of issues, including reduced rates of asthma, obesity, diabetes, and anxiety. Studies also show a reduction in neighborhood violence as tree canopy increases. 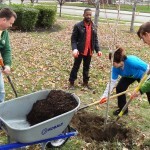 This Arbor Day, celebrate the many benefits of trees with Western Reserve Land Conservancy! Hug a tree, plant a tree, or make a gift to help the Land Conservancy plant trees that will benefit our communities across our region for years to come! 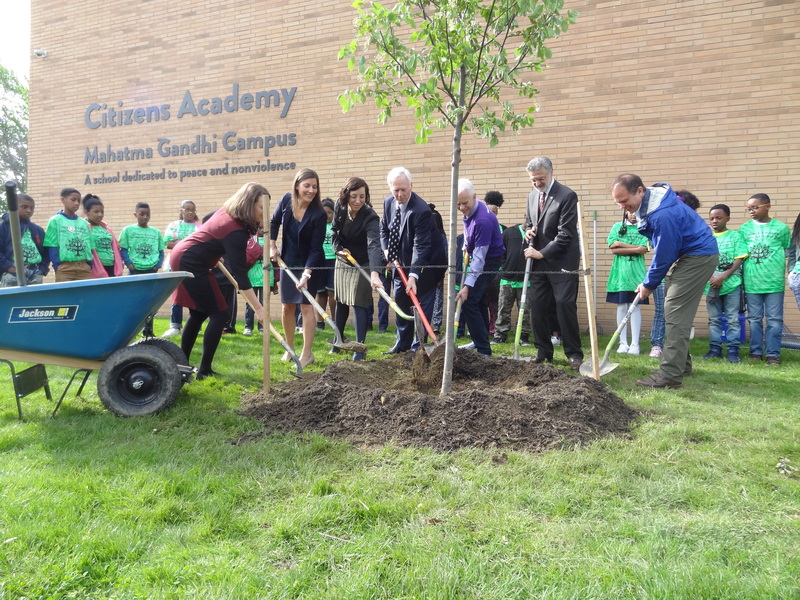 Across the region, trees are a critical piece of our community infrastructure. But in too many places, tree canopies are dwindling and communities are losing out on these critical benefits. This is especially true in urban areas like the City of Cleveland. With a canopy of just 19 percent, Cleveland continues to lose approximately 100 acres of its small tree canopy every year. In 2014, Western Reserve Land Conservancy launched Reforest Our City to reverse this trend. 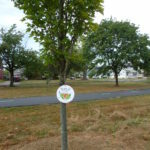 With the help of hundreds of volunteers, we have planted thousands of robust trees in neighborhoods and distributed thousands of tree saplings over the past three years. We continue to work with our partners to maintain existing trees, plant new trees, and engage the community in this important work. 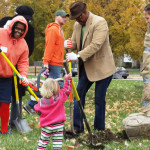 The Land Conservancy is a proud member of the Cleveland Tree Coalition, a collaborative group of public, private and community stakeholders that have partnered with the City of Cleveland to rebuild our urban forest. The coalition is striving to create a healthy, vibrant, sustainable, and equitable urban forest by working collaboratively to implement the Cleveland Tree Plan. Today, the Cleveland Tree Coalition announced its commitment to grow Cleveland’s tree canopy from 19 percent to 30 percent by 2040. 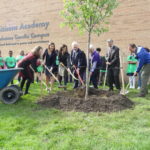 We can and should aspire to create an even healthier and greener future for our city and its residents, which is why the Land Conservancy pledges to ultimately grow Cleveland’s tree canopy to 40 percent. Together, we’re making Cleveland the Forest City once again. Thank you!